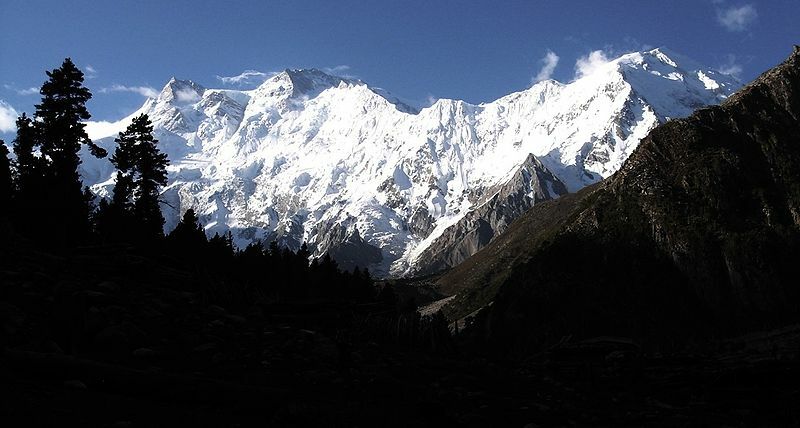 The Himalayan Mountains have been the home of sages for millennia. These great sages lived and passed on knowledge of the yogic teachings to disciples who then became masters passing on the teachings in an unbroken lineage since the Vedic period. Twelve hundred years ago Shankaracharya organized his teaching into five centers of the Himalayan Tradition. As one of those five, our tradition is the Bharati lineage connected with the Shankaracharyas at the Shringeri Seat. The Himalayan Yoga Tradition is not a tradition where a teacher proclaims himself a guru and students are expected to believe whatever he says, rather, the teachings come from the Tradition and the student can look to the Tradition to support and make sense of what the teacher says. The initial purpose of the tradition is to awaken the divine flame within each human being and the goal is for each student to become a master of the Tradition in coming to know his or her true Self. It is the task of the teacher, through the Grace of the Guru to selflessly help his students on the way to the highest enlightenment. The principal tenets and practices of all known systems of meditation are included in the Himalayan Yoga Tradition and, for the most part, these systems have arisen out of it. For example: Vipassana emphasizes breath awareness and Transcendental Meditation concentrates on repetition of the mantra, whereas most Hatha practitioners pay attention mainly to posture. The Himalayan meditator, however, learns to sit in the correct posture, relax fully, practice correct breathing, and then combine breath-awareness with the mantra. The Tradition teaches specific methods of training the human mind. It awakens the energy called Consciousness into the meaning of one’s essential nature – “Thou art That” – until one’s small, ego-centered personality and identification with the external are replaced by the knowledge of the Eternal Self – ever-pure, ever-wise, ever-free. The methods are scientific, systematic and internal, culminating in the mystery of initiation, and the direct conferring of the energy of Consciousness to disciples until they become Masters in their own right. More information on the Himalayan Tradition. Swami Rama was born in 1925 in the north Indian state of Uttar Pradesh and raised from early childhood in the Himalayas by a great yogi and saint. He was ordained a monk in his early teens and practiced the various disciplines of yoga science and philosophy in the traditional cave monasteries of the Himalayas where he studied closely with many spiritual leaders. At the age of thirteen he began teaching Hindu and Buddhist scriptures in several monasteries. He received his higher education in Prayaga, Varanasi and at Oxford University, England. At the young age of twenty-four he became the Shankaracharya of Karvirpitham in South India, one of the highest spiritual positions in India. He renounced the dignity and prestige of this high office in 1952 in order to deepen his meditation practice. Swamiji subsequently studied Western psychology and philosophy in different parts of Europe before coming to the United States in 1969, on the instruction of his master, to present yoga and meditation to the West. In 1970 he participated in experiments at the Menninger Foundation that revolutionized medical theories of the relationship between body and mind. Among other feats of yogic control, Swami Rama demonstrated his ability to stop his heart from pumping blood for seventeen seconds, to voluntarily maintain production of various brain wave patterns, and to produce a 10-degree difference in temperature between adjacent parts of the palm of his hand, while monitored by a battery of instruments. Reports of these studies were documented in the World Book Science Annual (1974), the Encyclopedia Britannica Yearbook of Science (1973), the Time-Life Nature Science Annual (1973) and numerous other publications. In 1971 Swamiji established the Himalayan International Institute of Yoga Science and Philosophy of the USA in Glenview, IL and began organizing centers and schools of yoga meditation throughout the US. 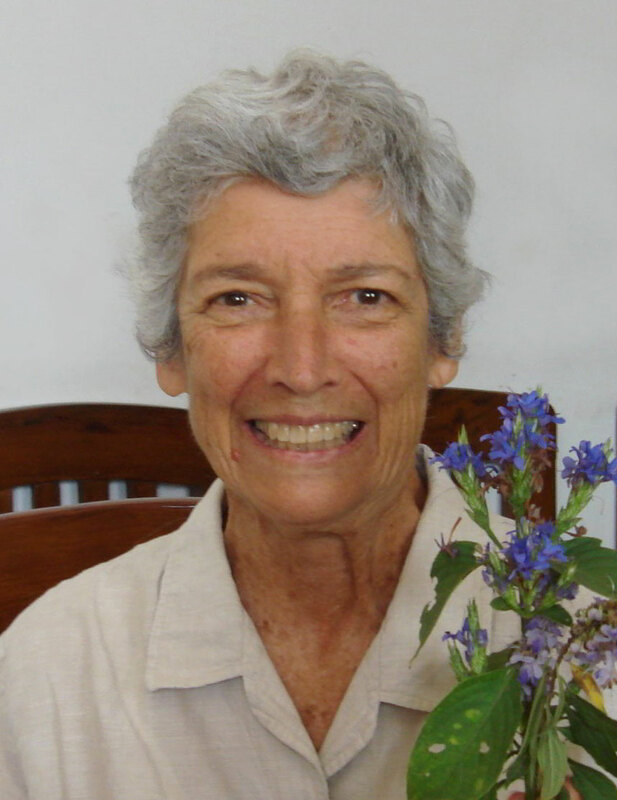 In 1972, with the help of Nina Johnson and a group of dedicated students, he established the Yoga Society of Milwaukee as a branch of the Himalayan Institute. 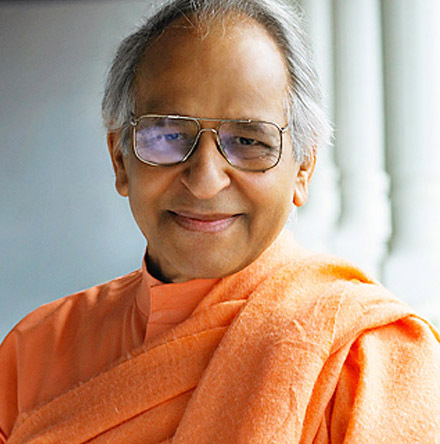 Swamiji’s work in the United States continued for twenty-three years. During that time was a frequent visitor to Milwaukee where he taught, lectured and spent time with his students. He also led intensive retreats at Green Lake and Holy Hill. Swami Rama was the author of many books including, Living with the Himalayan Masters, Lectures on Yoga, A Practical Guide to Holistic Health, Sacred Journey, Perennial Psychology of the Bhagavad Gita, and many others. His models of preventive medicine, holistic health and stress management have permeated the mainstream of western medicine. In 1989 Swamiji established the Himalayan Institute Hospital Trust in the foothills of the Garhwal Himalayas, to serve the millions of poor and needy people of the region. In 1996, this fully enlightened Master and representative of the ancient lineage of yogis left his body. The seeds he has sown continue to sprout, bloom, and bear fruit. His teachings embodied in the words “love, serve, remember” continue to inspire the many students whose good fortune it has been to come in contact with such an accomplished, selfless, and loving master. He is most remembered for his great love for all and the magnetic power of his spirit, such that as he walked, one felt pulled to follow behind him. The full impact of his legacy will be realized with time. Swami Veda Bharati (formerly known as Usharbudh Arya) was born in 1933 into a Sanskrit speaking family in the north Indian city of Dehradun. Early in his life he was recognized as a prodigy and he was asked to give his first lecture on Patanjali’s Yoga Sutras at the age of 9. In 1946 a number of articles appeared in the Hindi press proclaiming his exceptional knowledge of the Vedas and he was invited to speak at colleges and universities throughout North India. Since February 1947 and for the past 65 years he has been traveling the world teaching and guiding his students. During that time he has written 18 books including a 1500 page commentary on the first two padas of the Yoga-sutras and has recorded thousands hours of lectures on the history, philosophy and practices of meditation. He attained his academic degrees, B.A. (Honors) (London), M.A. (London), Dr. Litt. (Holland) between 1965 and 1967, and from 1967-1973 he was Professor of Sanskrit and Indian Religions at the University of Minnesota where he received the Distinguished Teaching Award. 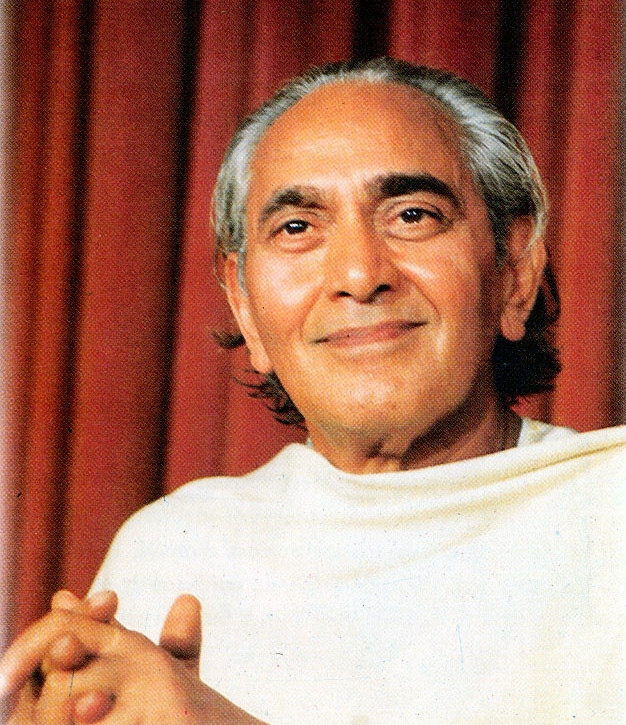 Swami Veda met his master, Swami Rama, in 1969 who initiated him in the highest mysteries of meditation. Thereafter he has established and guided meditation groups and centers in all parts of the world and is now recognized as an international spiritual leader. When Swami Rama left his body in 1996, he bequeathed to him the charge of his Ashram in Rishikesh, and also appointed him the Spiritual Guide of The Himalayan Institute Hospital Trust, Jolly Grant, Dehradun, India. In 1999, he was given the prestigious title of Mahamandaleshwara in the Swami order of monks. Following the footsteps of his Master, Swami Veda Bharati has maintained a keen interest in the scientific, medical and therapeutic studies of yoga meditation. He has demonstrated his capability for changing brain wave patterns in various meditation states. Such experiments have taken place in the laboratories like the Institute of Noetic Science in California (founded by astronaut Edgar Mitchell) and Bremen University in Germany. When not traveling Swami Veda resides mainly at Swami Rama Sadhaka Grama Rishikesh, India. Seekers from world over come to the Ashram to learn meditation and undergo varying periods of silence under his guidance.